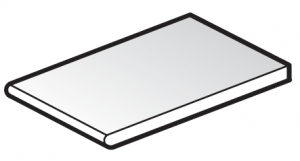 FloPlast 304mm White Solid Soffit Board - 5m length. These FloPlast plastic soffit boards are 10mm thick with both edges finished. A range of Soffit Joints and Soffit End Mouldings are avaliable.